By Donagh Corby | March 28, 2017. Ireland wonderkid Callum O’Dowda has told The Liberty that he chose Ireland over his native England to make his grandfather proud. Speaking ahead of Ireland’s crunch tie with Wales at the Annual FAI Awards in RTÉ Studios, O’Dowda was bursting with pride at being named Ireland Under-21 Player-of-the-Year. “It’s really nice to be recognised,” he said. “For your country to honour you in this way is incredible. “It’s been a good couple of years for me in the Ireland set-up. Noel King has been fantastic for me. 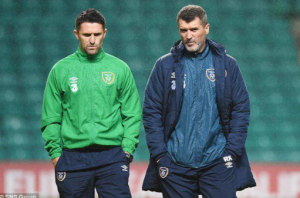 When he brought me in for my first game against Andorra he put me in from the start and I think that was the first time Martin O’Neill and Roy Keane watched me. O’Dowda was born in Kidlington, England, but despite encouragement from agents and coaches, he decided to play for the Republic of Ireland thanks to his close relationship with his grandfather. “[Opting for Ireland] was, for me, the right call. I had a lot of people telling me I shouldn’t. He was influenced growing up by Robbie Keane, who was inducted into the FAI Hall-of-fame on the same night. “Robbie Keane is a legend. You can call him that without any hesitation. The stuff he’s done for this country is unbelievable. The 21-year-old Oxford United Academy graduate grew up a Manchester United fan, so he naturally enjoys working with the legendary Roy Keane. 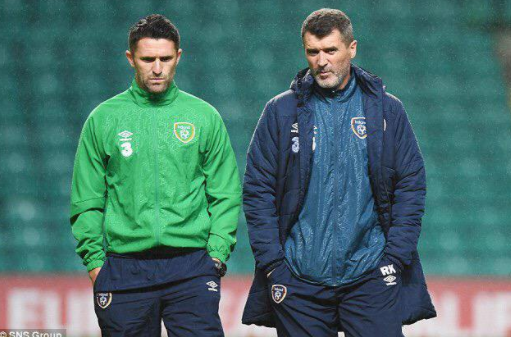 “Watching Roy Keane was part of my childhood so working with him was a bit surreal. When you think about it, it’s a real honour to be involved with him in any capacity. The young star has had a great start to life in an Ireland shirt, and is eyeing up a spot in the team for Ireland’s crunch clash with Wales. “Every player who has come on this trip will be dying to start, like any international trip. This is a big game and everyone wants to head out.